Ragnviðr had the stone erected ... his father. And Ásmundr cut. 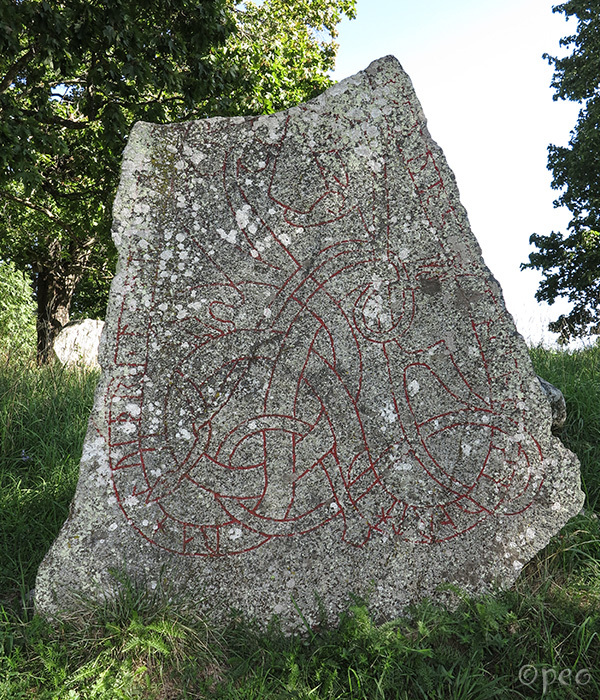 You'll find these two rune stones about 100 meter south of the previous one. 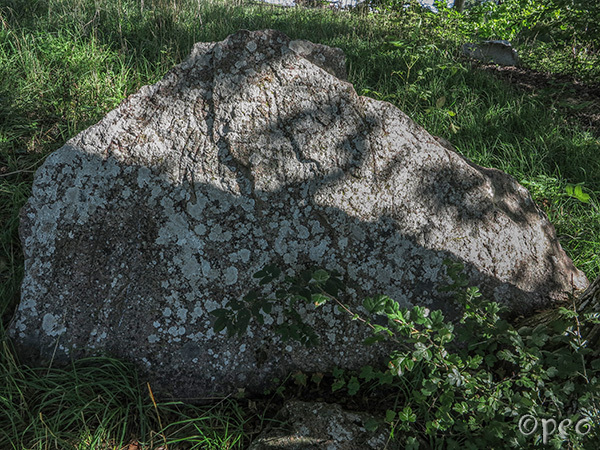 It was a bit tricky to take a photo of this rune stone due to the shadow that covered half the stone. For a close-up : point at the picture.